Yesterday I made a small video. I made a video telling what is my dream at the moment. My dream job would be where Im the one creating really detailed storytelling Movie, TV, Theatre posters. This dream is definitely pretty far from my reach, but man have to have dreams to reach. And the dreams have to be so big and way out there that it feels even quite impossible to reach them. But you MIGHT GET THERE! You might get even half way .. and that would be awesome. So this video was kind of made for myself .. trying to see that my destination is there, and I will try to find my way to get there. 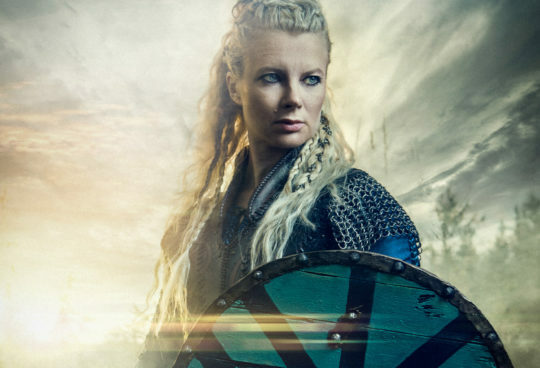 Watch out Lagertha! There is a new badass shieldmaiden in town.